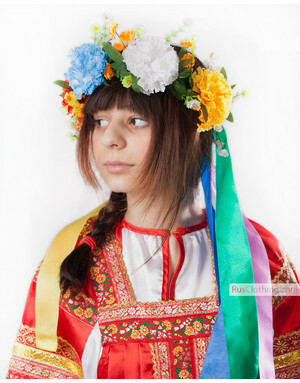 The Russian folk dance is popular all over the world thanks to the elegant, smooth movements. 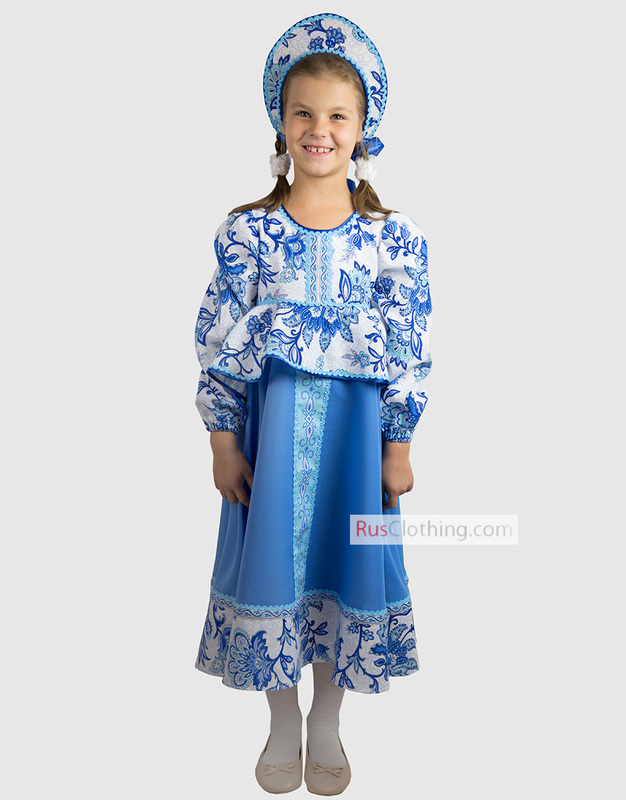 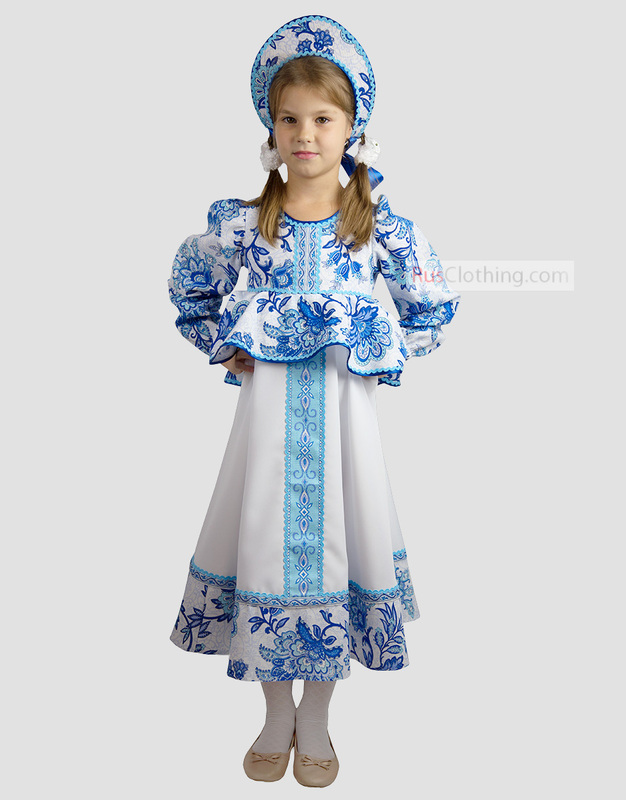 The Russian folk dress in a gzhel style offers a great variety in a stage wear. 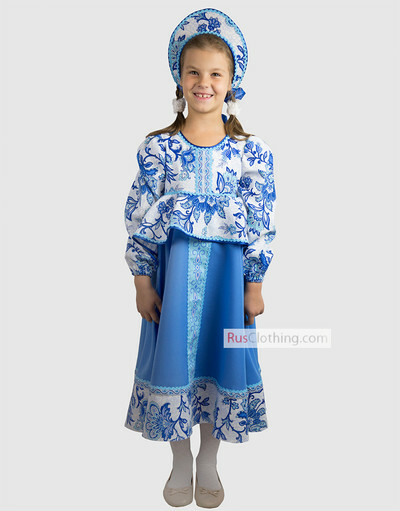 The costume goes perfect for Russian dancing thanks and stage performance. 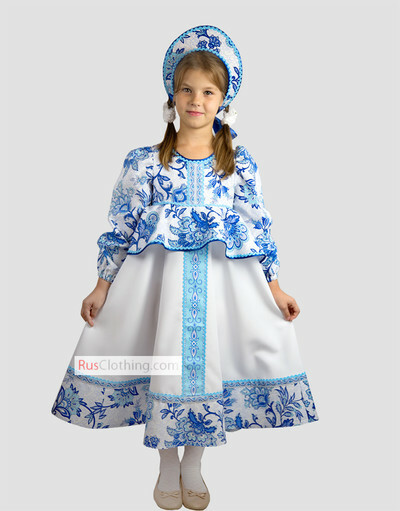 Such Russian dresses can be designed for specific sizes as well per individual request. The adult version can be found here.